Paying too much to accept cards as payment? Need to learn the tricks of the trade? The Complete Guide to Credit Card Processing provides comprehensive information you need to find a processor that has your best interests at heart. ​The perfect resource for entrepreneurs to big business looking to keep a higher percentage of every payment. The Complete Guide to Credit Card Processing is full of insights and strategy for business owners, financial professionals, retailers, and anyone else looking to land the perfect merchant account for their organization. Read it now to build your knowledge or evaluate your current credit card processor and finally learn exactly how much you should be paying to accept credit card payments at your business. Credit Card Processing is the process by which merchants accept credit cards as payment from a customer. A customer submits a credit card to the merchant as their form of payment, and the merchant’s processing company verifies the payment validity to complete the transaction. At the end of the day, credit card processing is all about trust. The process is as simple as the above statement, but contains many moving pieces. When a credit card is submitted as payment, the merchant swipes the card through a card reader to send the card information to the processor. The merchant processor authorizes the validity of the payment processing with the issuing bank. Payment is transferred from the customer account to the merchant’s account and the sale is finalized. What’s amazing is that all of this happens in just a few seconds from the time a card is read. Think about the last purchase you made. Maybe you purchased a printer for the office, hired a plumber to fix your leaky faucet, or bought lunch for your staff. Regardless of what it was, you probably paid with a credit card. You probably didn't think much about the method of payment at the time, but it matters a whole lot to the business owner's bottom line. Most customers will submit plastic as their preferred form of payment. That being the case, it's vital to understand who all gets a piece of a credit card payment - regardless of what you sell. What is the cheapest way to process credit cards? The cheapest way to process credit cards is to pass the processing fees back to the customer. If your business doesn’t pay the processing fee, you will be paying $0 to accept credit cards as payment. This type of merchant account is called cash discount processing, and it’s growing in popularity across the United States after taking hold in Europe over the last 20 years. This is why we've put together this guide: To help you evaluate and decide on the best merchant account without the false starts and missteps that come with doing it alone. What parties are involved in a credit card transaction? The parties involved in a credit card transaction are the customer, merchant, processor, and issuing bank. The Customer - This is the person buying goods or services from the merchant. The Merchant - This is the store or business that has goods or services for sale. The Processor - The credit card processing company that handles communications between the merchant and the issuing bank. The Issuing Bank - This is the banking organization that issued the card to the customer. Be aware, the credit card processing game is ever changing. New tactics, processing methods, and ever-changing equipment can change the processing landscape in only a few short months. 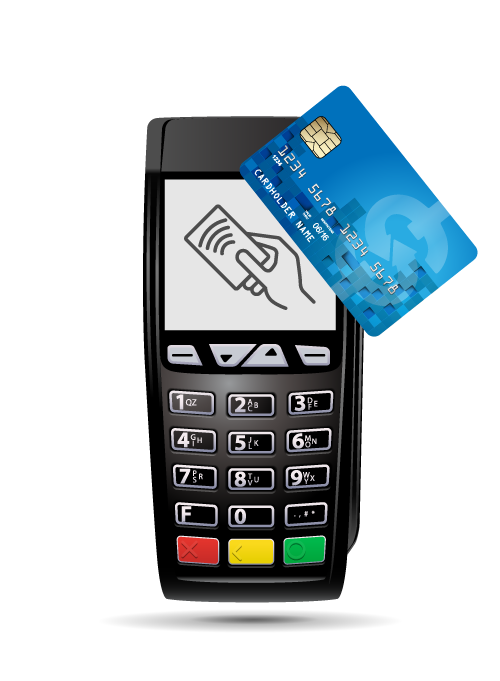 Chip cards, nearfield terminals (NFC processing) and mobile wallets (mobile apps) are strong entries in an already crowded field. The truth is, finding the best credit card processing account is less about "percentage rates" and more about "partnering with a processor," largely because your future credit card processor is going to be an extension of your business. At Shift Processing, our objective is to clear the confusion about merchant accounts so you can grow your business. We stand firmly against the "fly-by-night" processors who promote "free terminals" or "no cost processing" and then hide thousands of dollars in fees in the fine print. Here, we're all about transparency and teaching you how to make the best decision for your business processing. As you'll see in this guide, these 8 core essentials of credit card processing will be critical to selecting the best payment processor to help your business grow today, tomorrow, and for years to come. Each of these topics will be covered in depth in a chapter of this Complete Guide to Credit Card Processing as shown below. Credit Card Processing can easily be a confusing process for merchants. Dishonest processors seek to confuse merchants so they can hide fees that make them more money, and our guide is meant to shed light on bad business practices in the processing industry. If your business is already accepting cards or just starting to consider them as a payment option, this guide is for you. The elements of an amazing merchant account are easily visible once you cut through the B.S. and know what questions to ask. In this guide you’ll learn the tricks that bad processors use and how to combat them with educated questions to keep your rates low and profits high. There are companies that will promise flatrate pricing or interchangeplus pricing, but these payment solutions still cost your business a portion of each sale to pay the fees. If you’ve ever visited a merchant account provider’s website, you’ll see industry terminology all across the page designed to confuse you the merchant into a false sense of security. The key to finding the perfect merchant account is to know how credit card processing solutions work. Once you fully understand the process, you can then get the best merchant account to fit the way your business accepts payments. The Methods: the strategies and processes currently in use in the industry so you can translate it for your own business. In this Guide, we share the exact strategy and standards we use here at Shift Processing. The Metrics: the numbers you'll need to know to measure a processors claim and see if they're being honest with you (or are someone to run away from). The Lingo: the terminology used by experts in the industry, so you can communicate intelligently (even if you don't consider yourself a pro). We've organized this Guide in a logical progression. Though you can jump around, learning the core methodologies in whatever order you feel you need them, we recommend you read through the chapters in order. Take your time. We're so serious about you learning how to take back control of your credit card processing account that we've turned this entire article into a downloadable PDF that you can have with you when you make a call to a potential processing partner. You'll be surprised at how quickly unscrupulous processors will run if you know the questions to ask them that will make them squirm. Then, once you've found the processing partner that best fits your business, it's business as usual with more of your hard earned money in your own pocket at the end of the day.